All the team plays all of the time with our fantastic Team Millionaire gameshow! A fun, quality show, professionally hosted for your company! It’s the professional way that we make sure your guests are having a great time all throughout that makes Team Millionaire one of our most popular game shows. Team Millionaire remains our best selling game show for evening entertainment. 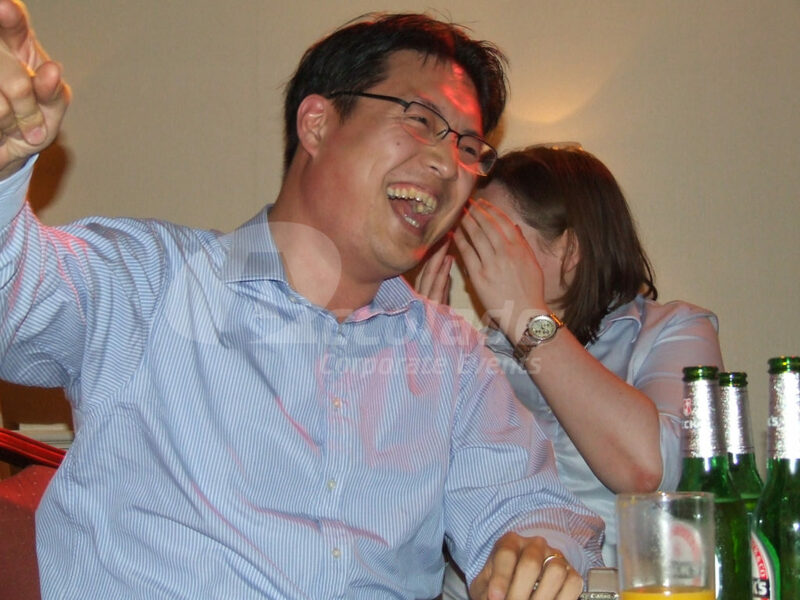 Perhaps it’s the way that our professional game show host keeps the whole show flowing, managing the pace and keeping everyone entertained, perhaps it’s because anyone from any country can instantly feel part of the game or perhaps it’s because every company that we host it for has a fantastic time, there are so many reasons it could be. 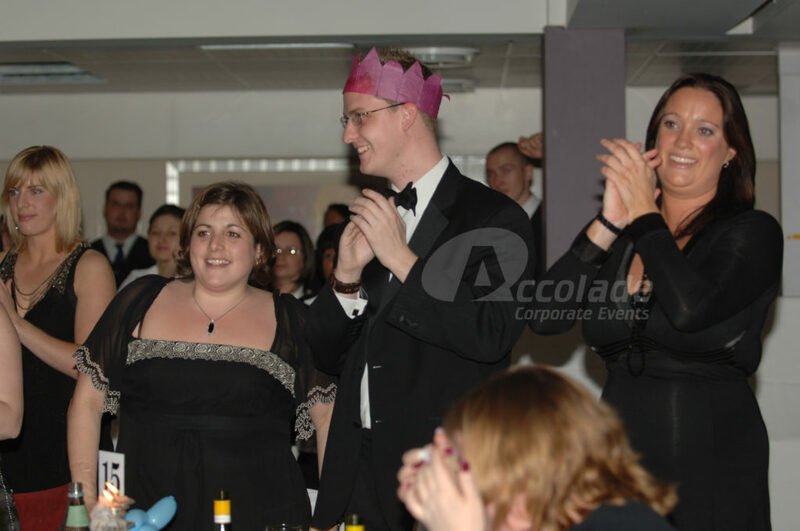 Team Millionaire can be hosted as evening entertainment or as a conference energiser – we can even customise all the questions for your company! 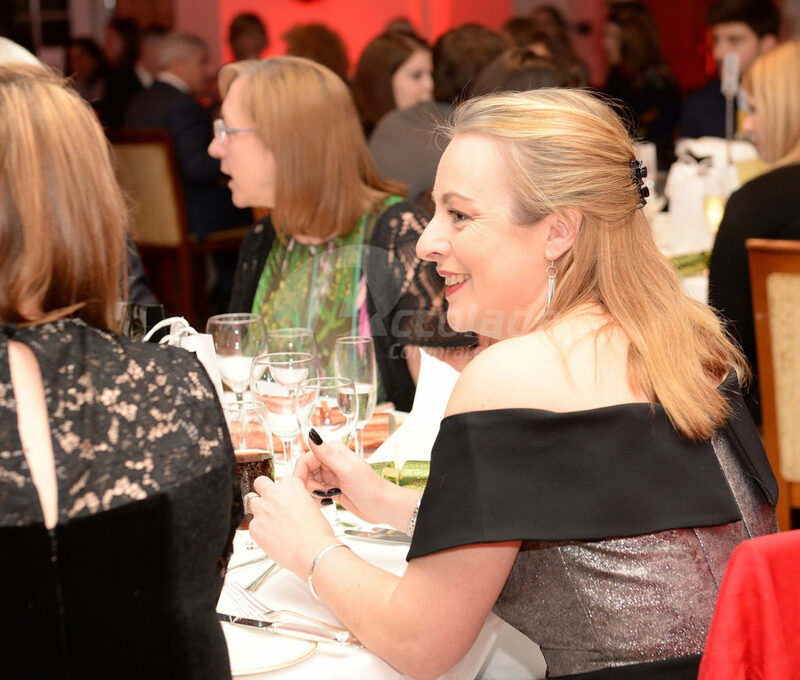 Team Millionaire is usually hosted between the courses of your evening meal and the beauty of this game show is that it builds an increasing momentum and an ever increasing level of competition. 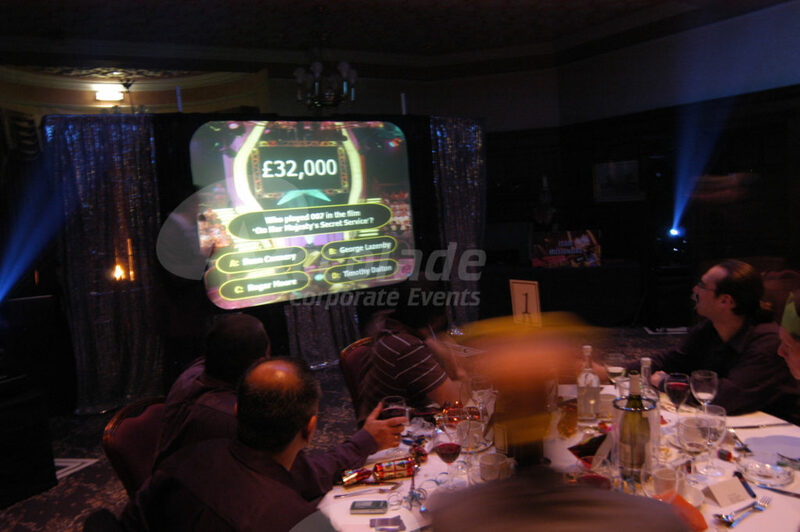 Mix in the swirling millionaire style lights, questions appearing on the large screen and the fantastic game show music and you’ve got all the ingredients for perfect corporate entertainment – and yes, that’s our final answer. Call us today on 0800 083 1172 for more information and to check availability or fill in our contact form and we’ll call you back. You may also like our Team Generation Game – take a look, it’d be nice to see you, nice!